Everyone loves a great Halloween party. But the whole "red plastic party cup" look doesn't exactly scream spooky. As you're set to host your very first haunted shindig, you'll need to think beyond big picture concerns like costumes, decor, and the guest list. What sets apart a truly memorable party from a blip on the social radar is attention to detail. And this Black Jack O Lantern Party Cup says, "I thought of everything, even my drinking container!" 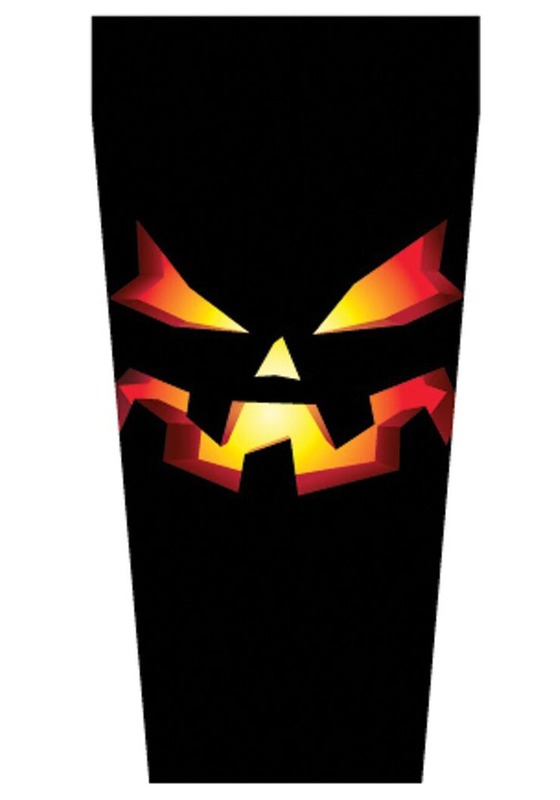 Lay to rest the ubiquitous red party cup and behold this creepier, cooler cup that takes you to a new level. And you won't even have to write your name on it in permanent marker! Light up the night with this drink accessory, and instantly earn the title "host with the most." It's a hard black plastic cup that can hold 20 oz. and it features a glowing, evil Jack-o-lantern print on the front. For a really cool gathering, grab a whole bunch of these cups, mix up a fun batch of drinks, and place a sign on the bar that reads, "Pick your poison!" This cup is such a step up from typical party ware, we're thrilled to see you taking your hosting duties so seriously. We also wouldn't be surprised to hear of you sipping from this cup year round, to make every day feel like an all-out party!